It is no secret that my favorite children’s book is The Day the Crayons Quit by Drew Daywalt and illustrated by Oliver Jeffers. I read four stories to this group of hooligans every Tuesday and it is pretty rare for a book to get such huge laughs from start to finish. So today was an extra special Tuesday for the kiddos to be the first to hear the BRAND NEW companion book The Day the Crayons Came Home! I read them The Day the Crayons Quit to give them a refresher on the story since it had been a while and they laughed as hard as they did hearing it the first time. Those sassy crayons have amazing comedic timing. 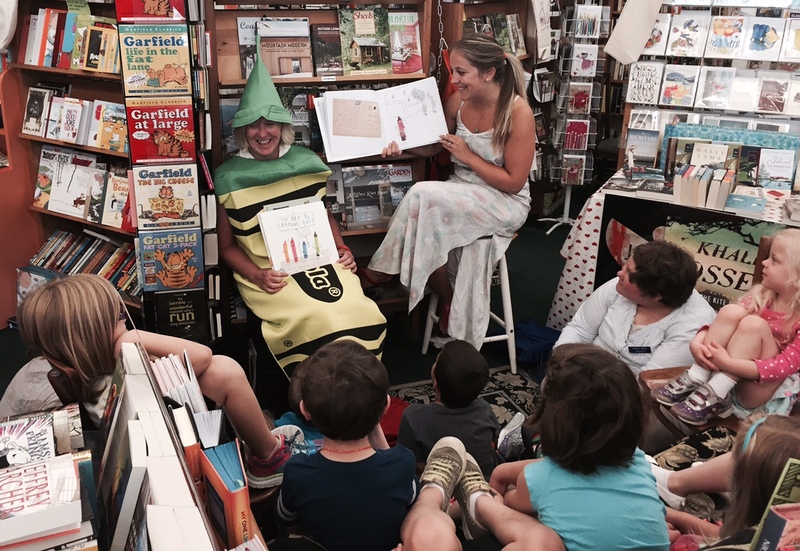 When it was time to read the new book, The Day the Crayons Came Home the kiddos cheered when Green Crayon herself came out to listen to the story (Thank you to Penguin Random House for sending the fun costume!!) The very first page got a laugh from the kids. These books are seriously hilarious, no joke…you need them in your life. Their favorite part of course was Pea Green crayon deciding to change his name to Esteban the Magnificent. As our own personal way to celebrate the release of our new favorite book, we are taking donations of new boxes of crayons that will go to Fishline for needy kids in our area! 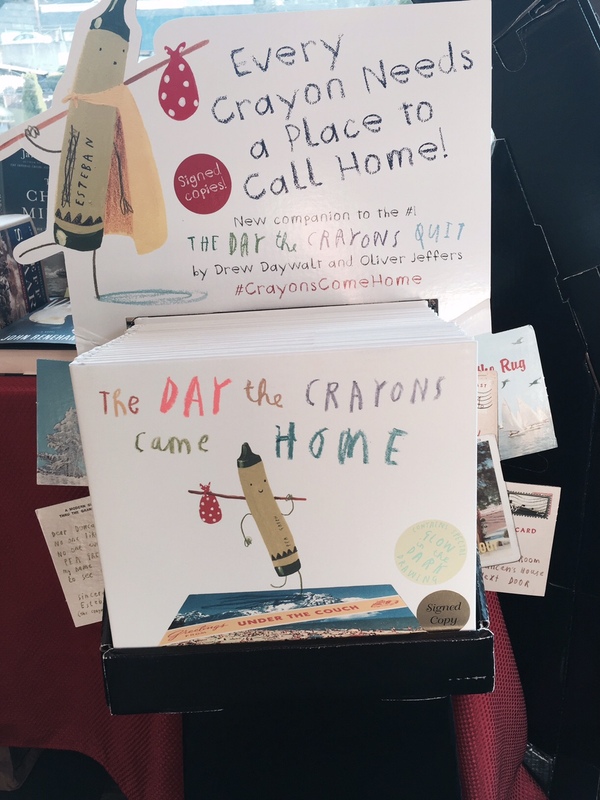 Bring in a box of crayons to Liberty Bay Books and receive a discount on The Day the Crayons Came Home!